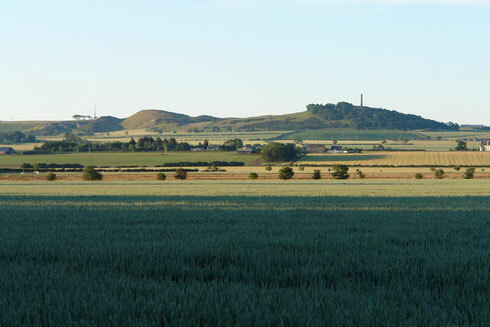 Here at Mungoswells, situated in East Lothian, we malt some of our barley & wheat and mill our own wheat to make flour. Our products are made from crops grown, harvested, milled and packaged all within 5 miles, resulting in quality local produce with unrivalled traceability. We have a wide selection of flour, both organic and non-organic, to make breads, cakes, pizzas and many other delicacies. Unlike commercial white flour ours has small darker flecks in it. These are tiny particles of bran, the outer protective skin on a grain of wheat which contains more protein and fibre and adds flavour. Our wholemeal flours truly have nothing taken out or put in. The flakes of bran can be seen throughout. To find out more about Mungoswells please visit our about page and also visit our products page to see our wide range of flour and malt.